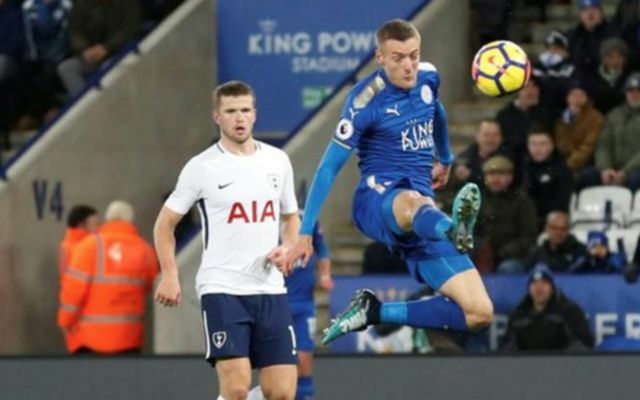 Leicester had Jamie Vardy to thank tonight, as the England international helped the Foxes on their way to a win at home to Premier League giants Spurs. Vardy opened the scoring in the 13th minute for Claude Puel’s side, as the 30-year-old brilliantly lobbed the ball over Hugo Lloris in the Spurs goal to put his side 1-0 up. Mahrez then made it two just minutes before half time, as the Algerian international cut in from the right before unleashing an unstoppable strike to put the Foxes two goals up. Mauricio Pochettino’s side halved the deficit in the 79th minute, after Erik Lamela put Harry Kane through before the England ace hammered the ball home to leave the score at 2-1. Leicester ace Marc Albrighton will take most of the plaudits tonight, as the former Aston Villa winger absolutely ran the show for the Foxes tonight. The former Premier League winner covered every blade of grass tonight, as his tireless work ethic gave his side a big helping hand in his side’s pursuit of three points against Pochettino’s side..
Spurs midfielder Moussa Sissoko didn’t have the best of games tonight, as the former Newcastle ace failed to make an impact before he was subbed on in the second half. The France international did nothing to help his cause tonight, with the player being dragged off by Pochettino in the second half for his lacklustre performance. Pretty certain Sissoko isn't even a footballer. It's like his brain and feet aren't connected. Leicester must hate playing Kane at this point! 2-1 to Leicester City,Spurs are definitely out of the title race.